Dew Point Pole naturally moisturizes your skin while increasing your grip on the pole. With this revolutionary new moisturizer you no longer have to choose between dry skin OR the pole˜ you can have it all! Works well with Mighty Grip powder for that added grip. 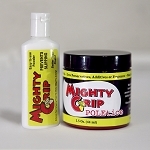 Have you ever had trouble getting Mighty Grip to stay on your skin when you are trying to apply it? We know if you are one of those dry skin folks out there this can be an issue. But, being the innovators that we are, of course we have found a solution! 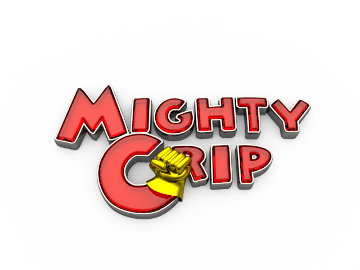 Use Mighty Grip in conjunction with Dew Point Pole. Here's how it works. You spray a small amount of Dew Point Pole on the skin first (on the body but NOT the hands), let it dry and then apply Mighty Grip. Bam! The Dew Point Pole gives your dry skin just enough oil free moisture to keep the Mighty Grip on your skin.